An overnight stay in straw is a special experience. Exchange your mattress with the bed of nature! In the morning, a good breakfast awaits you. Why not plan a club or company excursion where you spend the night in straw? We can accommodate 30 people. Allergy sufferers can still enjoy themselves, as we will gladly provide you with our B & B room instead. •	"Runner's Breakfast". Companion jogging, followed by a rich breakfast. •	"Sightseeing by Bike”. Discover Basel's sights on two wheels. •	“Picnic”on the banks of the Rhine, in a park, ... or wherever you wish. Enjoy a well-filled picnic basket with treats from our kitchen. •	"It's Teatime". 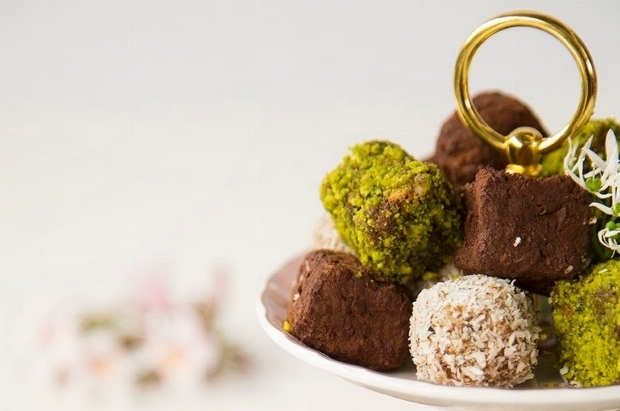 The English tradition of afternoon tea with pastries and savory snacks. 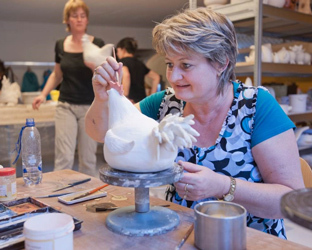 In our pottery studio, you can create with limits. 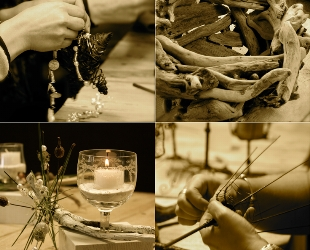 Susanne (skilled potter/ceramic painter) offers individual courses. Her artworks are burned, glazed, and also shipped. Workshops, (e.g. as a team building educational action with up to 10 participants) are also offered. Course fee CHF 25.00 / hour. Groups upon request. We offer individual menus. 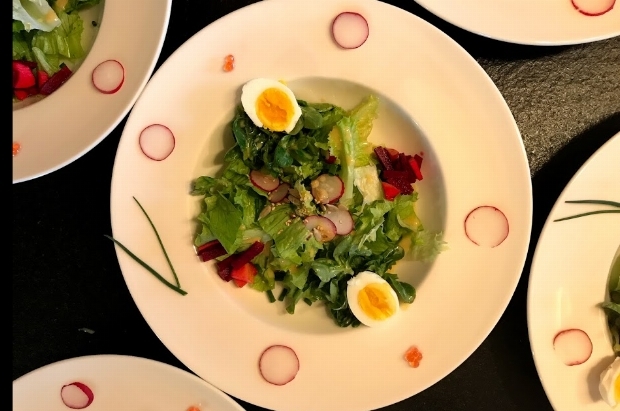 From simple local specialties, such as Gersauer Käsekuchen (cheesecake) with green salad variation, to a 6-course surprise menu paired with our carefully-selected wines, we have the perfect dinner for every taste and palate. (We are also mindful of various special dietary needs). From CHF 15.00-65.00. Wines CHF 30.00 - 80.00. Spend an evening on an English EssexSmack. 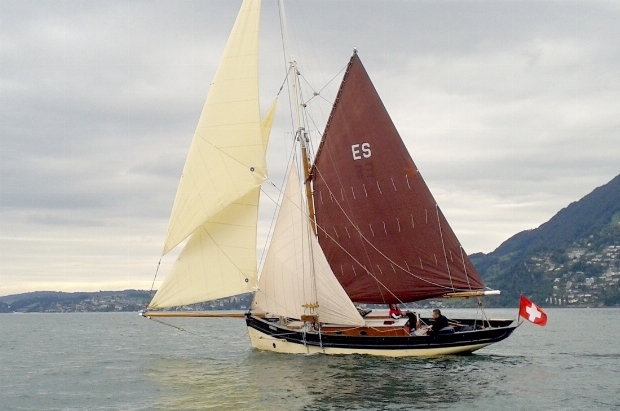 Sailing of a different kind, with drinks or dinner on the water, a night trip in the Moonlight. We offer you an unforgettable experience. (Available upon request). 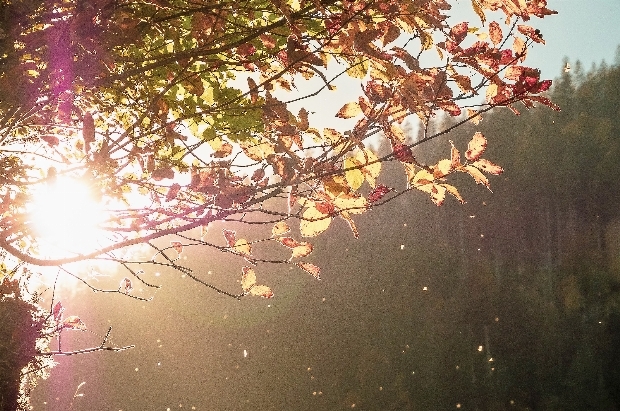 Arrive, Take a Slower Pace, Relax, and Centre…. Give yourself time for soul and body. I look forward to meeting you. Sincerely, Gesa Grand. Experience and discover nature with our partners "Pure Mountain Nature" and "Rangerstation Haslital". Power hikes, high moor, “Bergahornweg”, watching animals, full moon hikes, seminars, and ... Recharge your strength and energy for everyday life in the unique mountains of the Reichenbachtal. 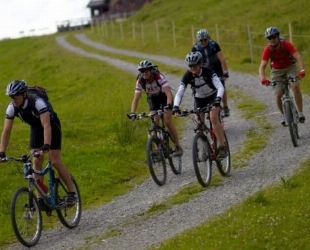 We offer guided mountain bike tours through the hilly landscape, meadows and forests, or on flat terrain along rivers. Numerous bicycle paths and single trails allow safe and comfortable biking away from traffic. 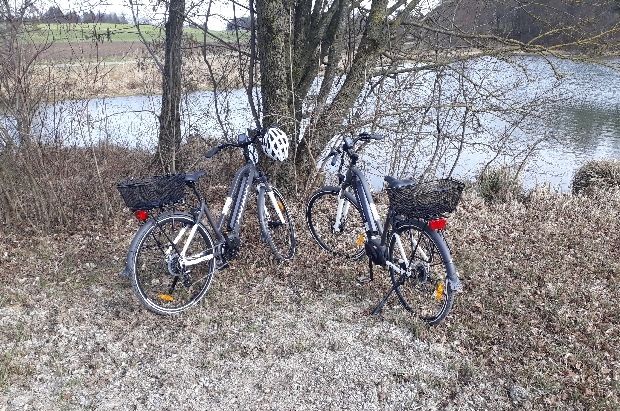 We also accompany our guests in the Jura region, mostly through deciduous forests in the Jura mountains with a magnificent view of the Central Plateau, Alpine peaks, and the Black Forest. When the garden is most beautiful (the month of June), I invite guests every year to share with them the wealth of countless flowers in this stimulating environment. Both the historic and the English roses attract with their seductive fragrances. The climbing and rambler roses enchant the pavilions and provide a pleasant shade in which to linger. Even if you are not a regular cyclist or an expert climber, it can still be exciting to visit our beautiful region by bike. With one of our rentable e-bikes, it is effortless! 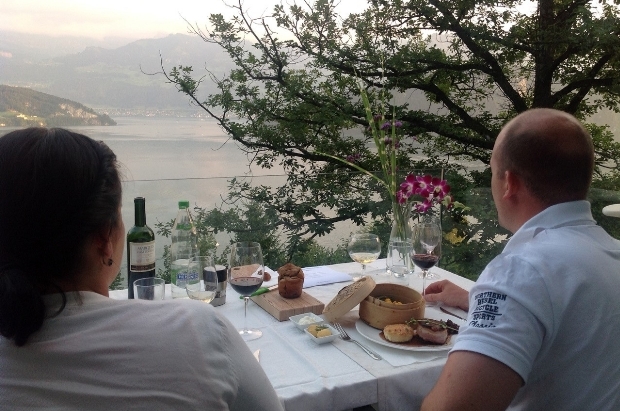 Take the tour of your choice with our guide and discover the secret corners of Ticino. We are ready, just ask. 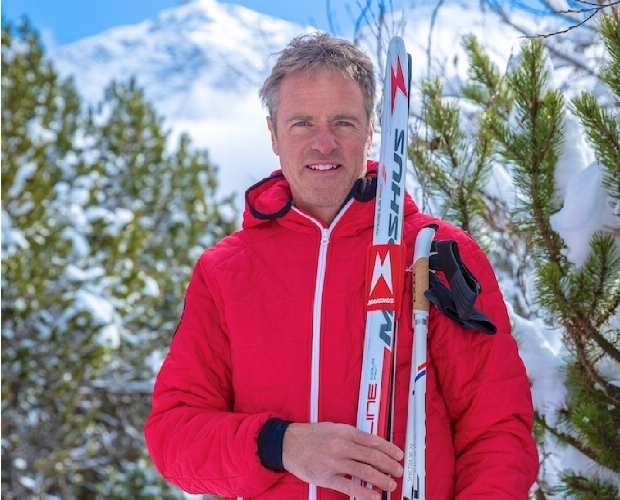 Martino Tucek, a trained ski instructor in the ski resort Arosa-Lenzerheide, runs a quaint B & B in Peist. For over 40 years, he has been guiding guests across the snow-covered slopes. 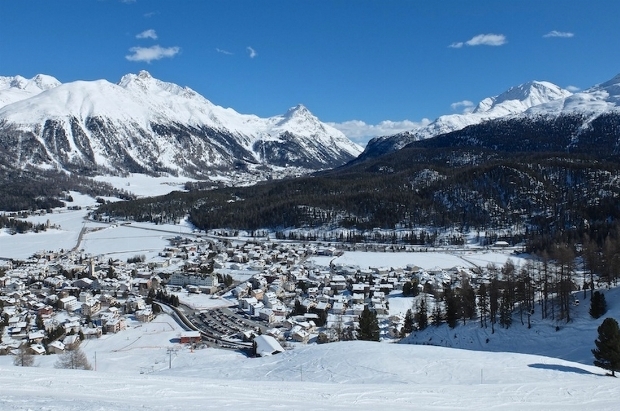 The offer starting in Arosa includes: ski lessons for beginners, advanced and children; deep snow downhill courses next to the slopes; roundtrips in the Arosa-Lenzerheide area; ski training. 1 hour: CHF 100. Full morning (2.5 hours): CHF 250. Full day: CHF 350. Call 079 568 86 00 in the evening. 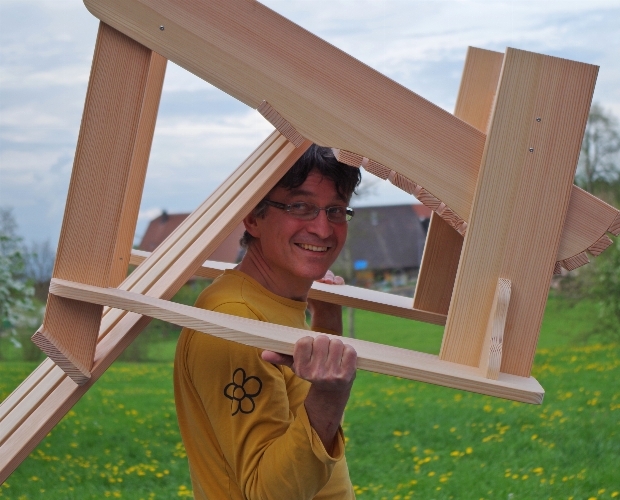 Ueli, your host is a cross-country instructor and operates his own cross-country school using state-of-the-art rental equipment. We want to convey the love of nature, tranquillity, and joy of shared adventures and experiences. Enjoying the exercise amidst beautiful nature is our goal! Appointments and cross-country skiing equipment rentals are available on site from the host. Are you looking for nature and peace instead of action, sport, and dynamics? 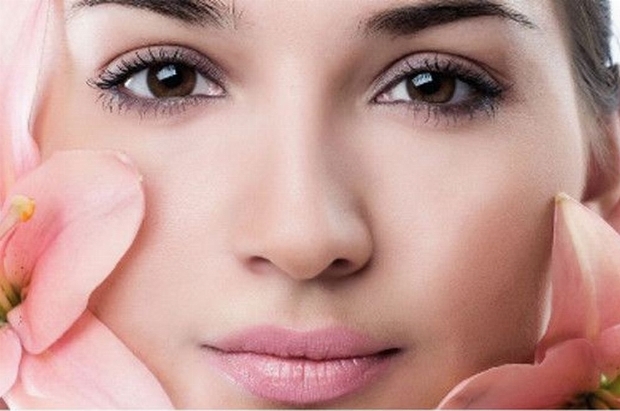 We offer pure nature with optimal rest and relaxation in the Mineralbad & Spa Samedan. 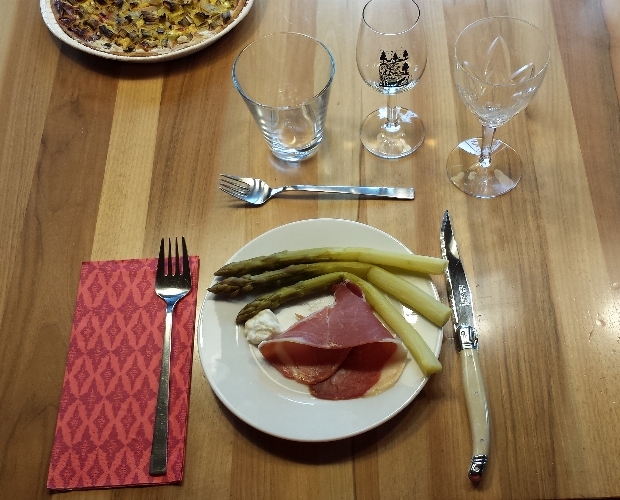 Also included are various culinary highlights. 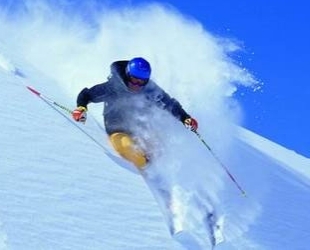 Four nights in the CHESA STAILA **** with alpine breakfast and STAILA’s great complete services. Starting at CHF 560.- per person. Unwind. Soak up the Sea Air. Devote Yourself to a Topic. Enjoy. Absorb the Power of Nature. 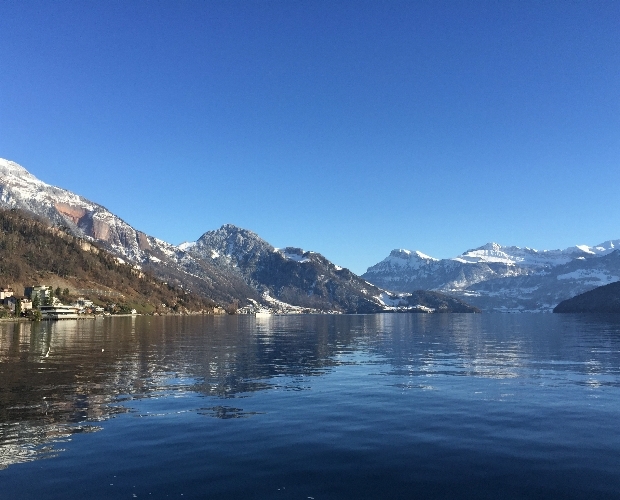 A package deal for two nights for 4-6 people awaits you in Weggis on Lake Lucerne. 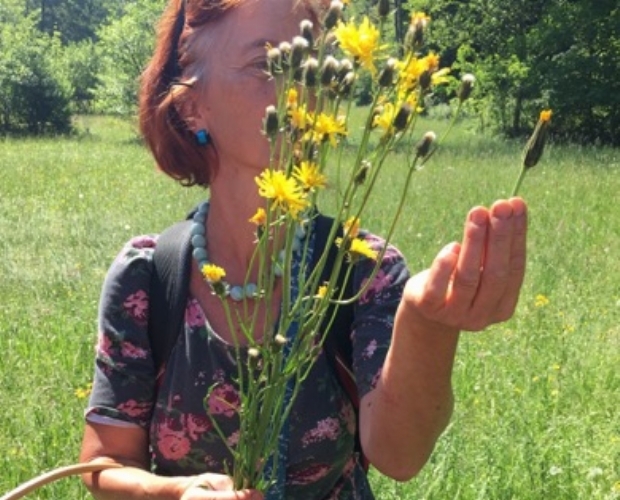 Erica Bänziger (graduate nutritionist, cookbook author, and wild herb expert) will introduce you to edible wild plants and herbs. Available from 05-08 April 2019 or from 30 April to 03 May 2019. All-inclusive price in a double room per person: CHF 286.- to 329.-. Streams of Bignasco: from 05 May to 09 May 2019. All-inclusive price in a double room per person: CHF 385.- to 430.-. As the storyteller of Spiez, I have been offering scenic city tours since 2004. 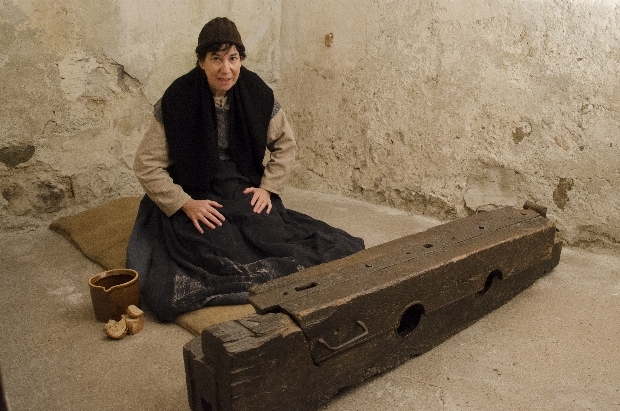 During various walks, you will participate in a true local or regional historical episode in an authentic setting. Learn more about the specific circumstances of the era and about the fate of certain people. You will get to know our community and our region in an exciting and special way. Adventure in the "Tipi Redfire"
Immerse yourself in the world of the Indians! Authentic adventure feeling in the middle of nature. 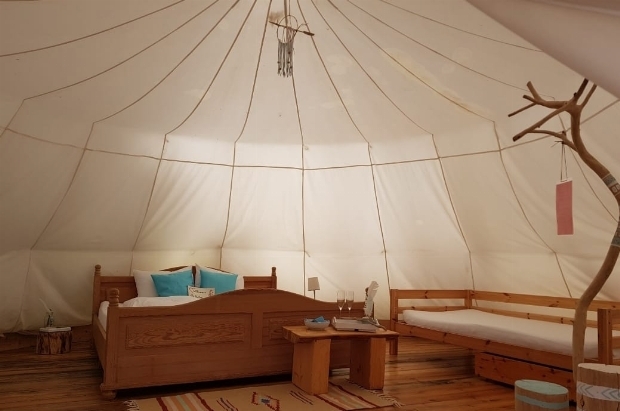 The "Tipi Red Fire" consists of one room and is equipped with a double bed and two single beds (bed linen included), which can accommodate four people. In addition, two camp beds can be set up. Cost per unit: two persons CHF 142, four persons CHF 163, all fees included. Adventure in the "Jurte Khulan"
Have you ever wanted to go to Mongolia and did not find the time or the opportunity? 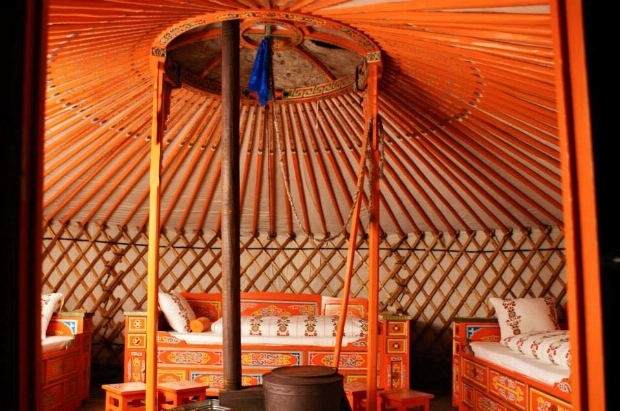 An overnight stay in the yurt takes you to a special world. Soak up the colorful atmosphere. The "Jurte Khulan" has a small double bed and two single beds, plus a stove for heating and cooking. Cost per unit: two persons CHF 142, four persons CHF 163, all fees included. Enjoy this beautiful landscape on the back of a horse! 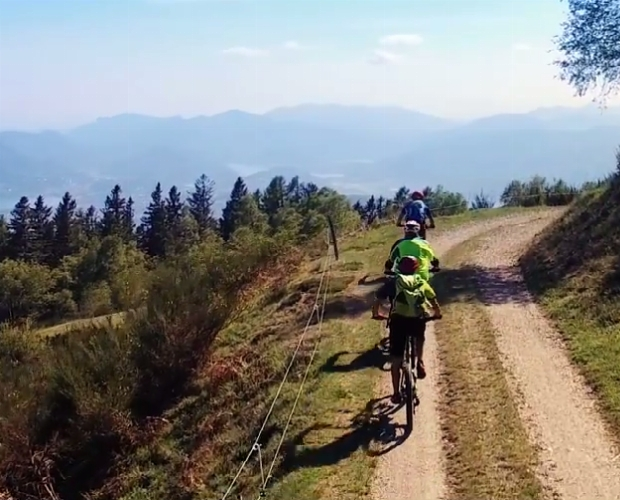 We organize rides in the Alta Leventina under the guidance of a friend. Everyone can participate. Price and availability upon request. For further information, please do not hesitate to contact us. Beginning of December through beginning of April: Winter sports in the Gotthard region combined with one overnight stay in our BnB. A: One night with breakfast, ski pass for two days in Airolo-Pesciüm or Carì at a bargain price of CHF 110.- / person in a double room. 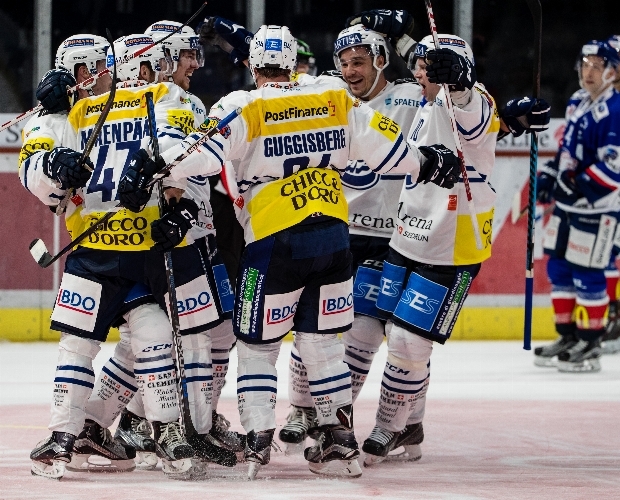 Beginning of December through beginning of April: Winter sports in the Gotthard region combined with one overnight stay in our B & B and ticket for a game of the hockey club Ambrì-Piotta. 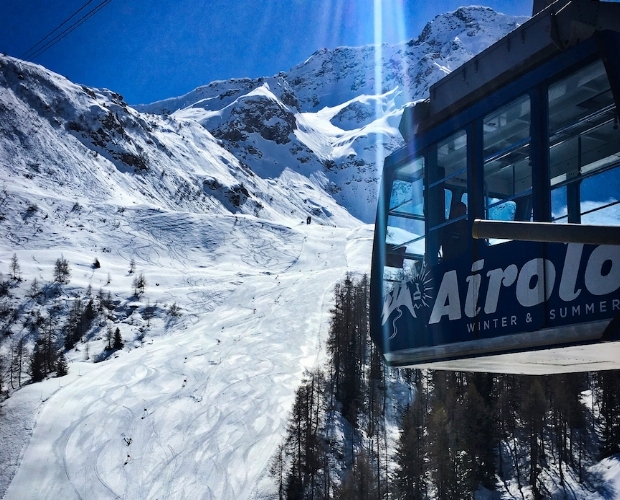 One-night stay with breakfast, ski pass for two days in Airolo-Pesciüm or Carì, plus a ticket for the Valascia (standing room) at a bargain price of CHF 120.- / person in a double room. 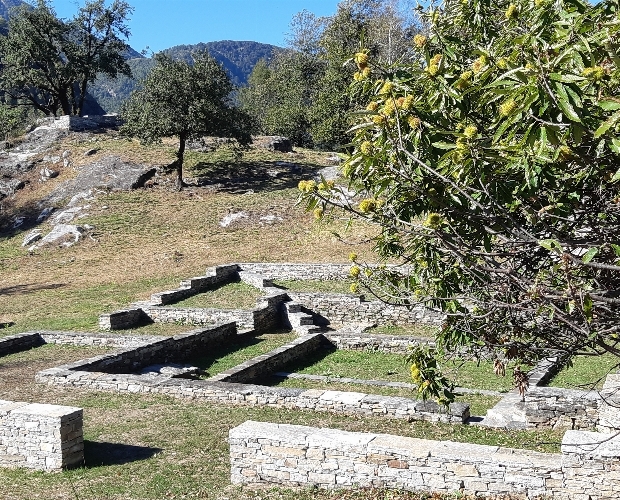 We organize guided walks with experienced persons on historic routes to discover the cultural heritage of the region Gotthard - Pioratal - Bedrettotal. The duration depends on your preference. Price and availability upon request. For further information, please do not hesitate to contact us. For hikers, bikers, and motorcyclists, I recommend my “table d’hôtes”! After a long day, you can relax in the Jacuzzi with a glass of wine or beer and enjoy the magnificent views of the Alps, while I prepare a dinner consisting of an appetizer, main course, and dessert. I also offer picnics with homemade whole-wheat bread. Please reserve. I look forward to meeting you. It’s all about chestnuts from Ticino. 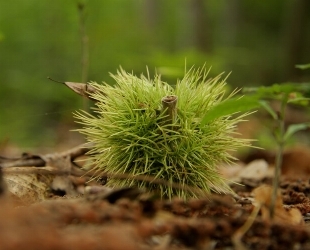 Cooking with chestnuts... eat, enjoy, talk and listen, drink and laugh. 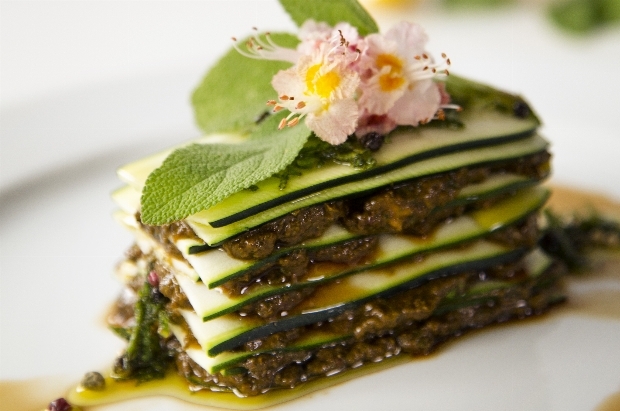 A culinary 5-course dinner evening with Erica Bänziger, nutritionist and cookbook author. 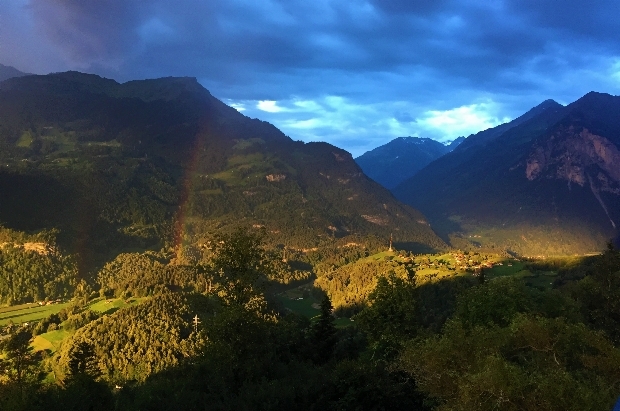 1 night in a double room / HB (half-board) CHF 255.- including course fee. 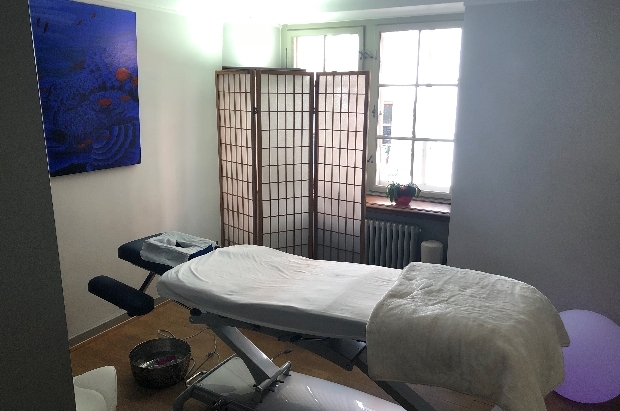 We offer a classic full body massage, relaxation massage, medical massage, foot reflex zone, lymphatic drainage, deep connective tissue massage, and 4-hands relaxing massage. 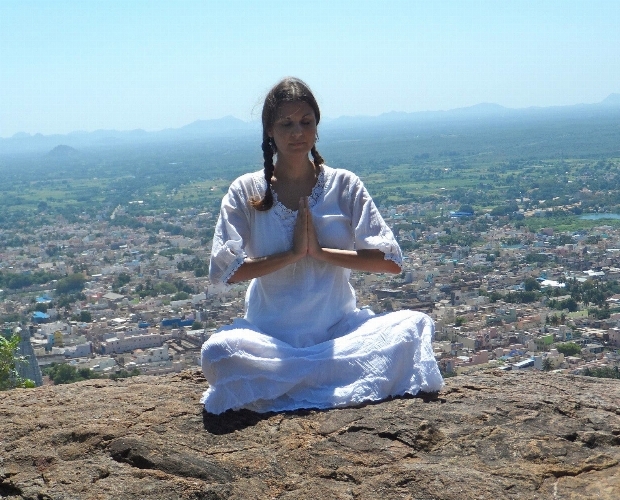 Yoga and hiking holidays 07/04-13/04; 22/04-28/04; 28/04-04/05; 19/05-24/05; 14/07-20/07; 29/09-04/10; 06/10-12/10; 13/10-18/10. Located between Lago Maggiore and Lake Lugano, the Malcantone awaits you with a wonderful mountain landscape and lush chestnut and beech forests that invite you to hike and pause. Enjoy the energetic, healing, and inspiring combination of yoga, hiking, massage, and relaxation surrounded by magical nature! Suitable for all levels. When the pleasure of sharing a meal meets happiness and cosiness! 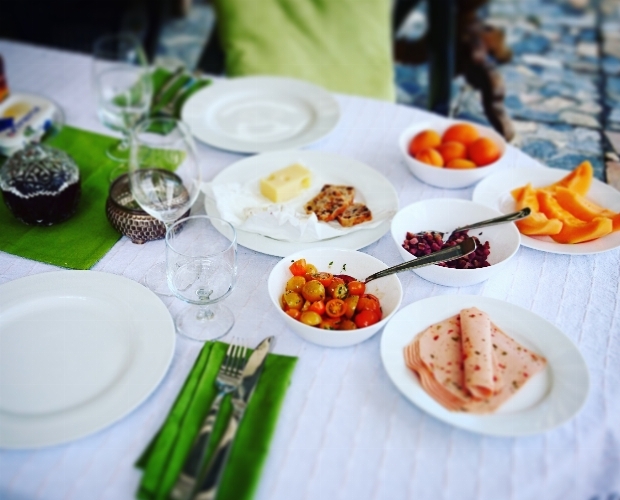 Experienced from a long career all over the world in hospitality and gastronomy, your host (Bertrand Leuba) will prepare delicious countryside lunches and aristocratic dinners, presenting traditional Swiss meals with top quality products. Lunch: CHF 25.-/person, all included with dessert and wine. Dinner: CHF 50.-/person, all included with 2/3 course meals, wines and digestives. 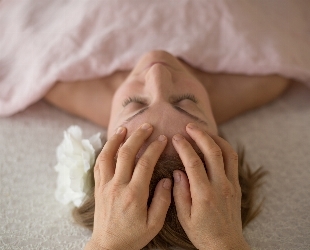 From Spring until late Autumn, we are offering group or private sessions of Guided Meditation and Restorative Yoga. The sessions will take place in the midst of nature, surrounded by mountains and the forest. Meditation: learn simple and fun meditation techniques to keep your everyday life calm and balanced. Yoga: an ideal activity for beginners or for someone who suffers from neck, shoulder, or back pain. 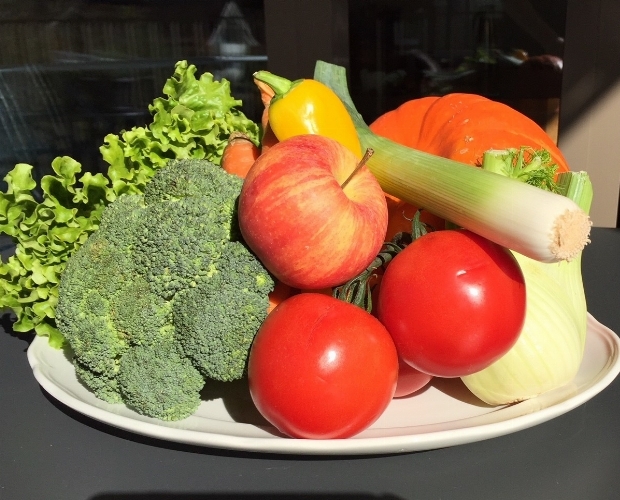 We use primarily vegetables from our garden and local products for the offered meals. For the table d'hôtes for two persons or more, please make reservations 48 hours in advance.